“I’d been unsettled and I hadn’t been seeing eye-to-eye with the manager,” he explained, “so I wanted to move. I couldn’t tell you whether anyone came in for me or not. “But as our first game in Division One got closer, I realised just how much I wanted to play. I was training hard and playing well. I wanted to be there. 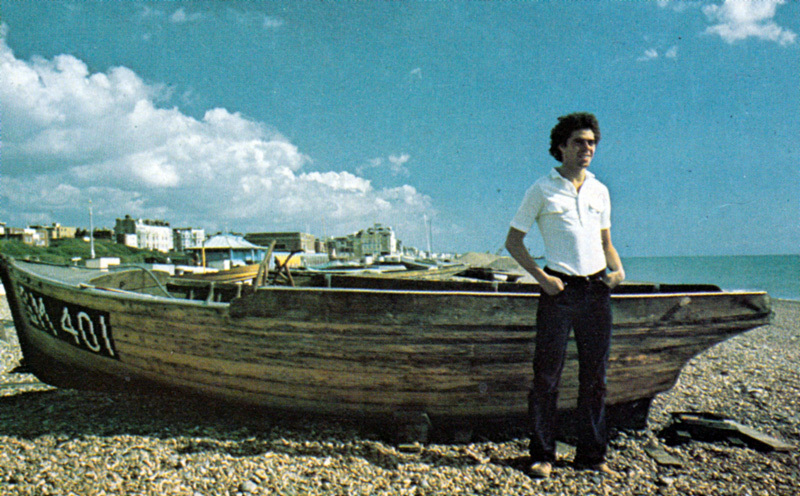 I like Brighton. There’s a good atmosphere between the players, and the club’s ambitious. So, I decided to stay and prove myself in the First Division with them.” Alan Mullery was happy to welcome Peter back into his tong-term planning. “They seem to let you play more at this level, until you get into the final third of the field. Then it’s very tight. You can’t dawdle on the ball, or it’ll be whipped away from you. The game’s much quicker. You’ve got to sharpen up mentally, as well as physically.There’s a lot more to think about. “But, at the same time, I think it’s important to carry on playing your natural game. I’ve got the freedom to do that at Brighton. I know I’m a bit greedy sometimes. The lads will have a moan and I’ll give them a little smile. There are times when I could lay off an easy ball, but I’ll try to go on my own, or have a shot.” But surely his willingness to try the unexpected has been rewarded with some spectacular goals? “Yes,” he grinned, “it’s alright when it comes off. But there are plenty of other times ~when you’re left looking a bit silly!” Ward’s early season form was patchy. But it was clear he relished the challenge of playing in the First Division. “It’s a thrill going to play at big stadiums like Anfield and Old Trafford. When I was a kid, I used to travel up to watch United, from Derby. That was in the days of Law, Best and Charlton. It’s got a nice ring to it, hasn’t it? They were my heroes. When they played, the atmosphere was tremendous. Like the street kids around the Goldstone Ground, Ward scored a thousand Cup Final goals in his childhood fantasies. But there were times when playing in the First Division seemed as likely as a relaxing stroll on the Moon. But surely it hurt his pride? Ward’s size, or rather the lack of it, weighed heavily in the minds of those around him. “I remember going to see the headmaster, just before I left school. He asked me what I wanted to be. I Said a professional footballer. Suitably filled with confidence, Ward left school at the age of 15, and joined Rolls Royce on a four-year engineering apprenticeship. 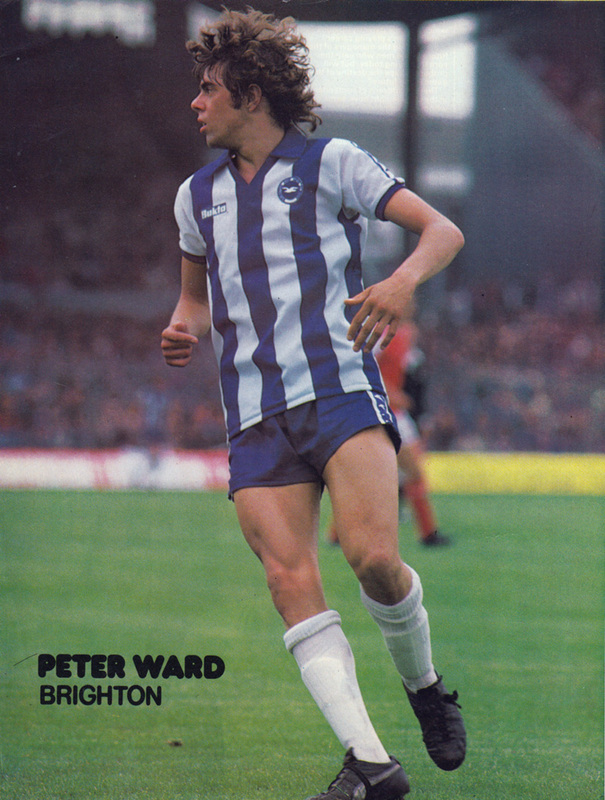 Those were dark, uninspiring days, but in May, 1975, Peter Taylor heard of Ward’s potential and decided to give the youngster his chance at Brighton. The results were spectacular. 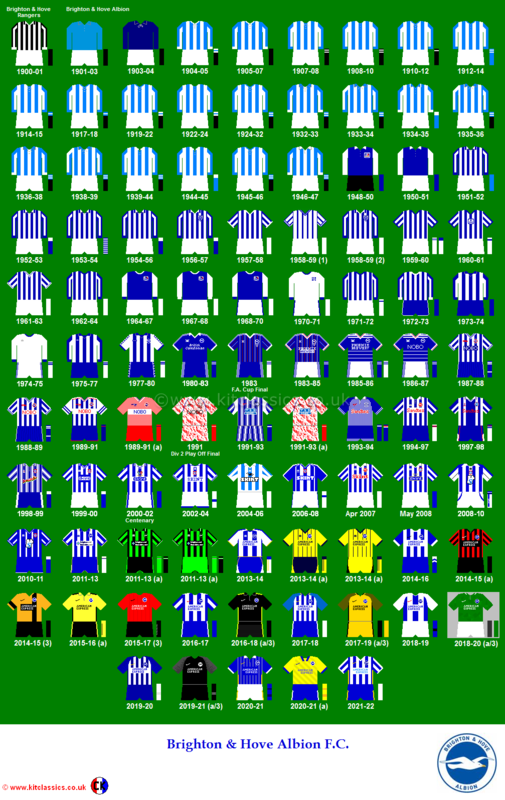 Ward scored 32 League goals in his first full season, as Brighton won promotion. He was again leading goalscorer in the two Second Division campaigns. “I got off to a good start, scoring in 50 seconds on my debut at Hereford. The cameras were there and we stopped off at a hotel in London to see the game, on the way home. It’s a peculiar feeling seeing yourself on TV for the first time. I was sitting there thinking, ‘I don’t look like that, do I?’ ” With his stylish play and good looks, Ward soon found himself cradled lovingly in the arm of the publicity machine. He was a star, eagerly making up for lost time. In September 1977, he made his international debut for England Under-21’s, against Norway. “That’s one of my happiest memories. The match was played at Brighton and that might have swayed my selection, but I scored a hat-trick and really enjoyed the game. There were some good players in the side. Up front, we had Barnes and Cunningham on the wings, with John Deehan and myself in the middle. “A month later, I was looking forward to playing for the Under-21’s again, when I was called up for the full squad. I went to Luxembourg with them. It was a great experience, but I wasn’t picked to play. And that was it. I haven’t got a look-in since.” Another disappointment, but Ward remains typically philosophical about his international future. “I’ve just got to do it for Brighton in the First Division. If I’m playing well and doing my job, which is scoring a few goals, I might get the chance of a call up. “I’m sure the side can hold its own this year. The club’s destined to go places. They’ve got the money and the resources to do well. From my own point of view, I’m enjoying playing up front with Teddy Maybank now. He’s taken a lot of weight off me. He’s a skilful player, much better than a lot of people think.” This season is providing Ward with his greatest test to date, but there’s nothing new about his main motivating force. With half an eye on the future, Ward has enrolled for a small business management course especially designed to help players shape fresh careers when their playing days over. Not for him the factory. Not again.